Cartier: The Exhibition has been dazzling patrons at the National Gallery of Australia, Canberra (until 22 July, 2018). It is by far the most impressive display of the jeweller’s art to be exhibited in Australia, eclipsing even Italian Jewels: Bvlgari Style at the National Gallery of Victoria (2016-17). Based on the earlier exhibition Brilliant: Cartier in the 20th Century (2014-15) at the Denver Art Museum, the new iteration features over 280 pieces produced between 1900 and 1976. 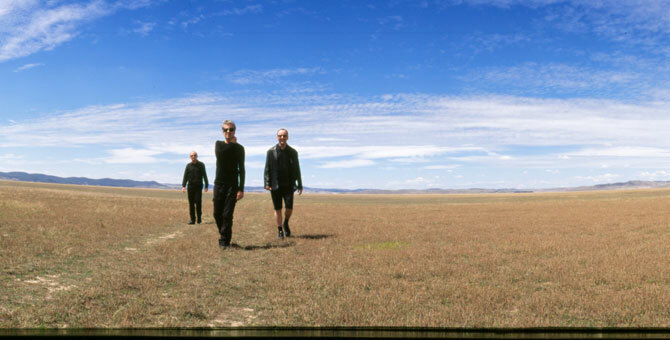 Curated by Margaret Young-Sánchez, and Simeran Maxwell (NGA Curator of International Art), the exhibition has also secured significant loans from private lenders, and includes new content tailored to the national audience. Louis-François Cartier (1819-1904) was employed in the Paris workshop of jeweller Adolph Picard when, in 1847, Picard moved premises and left the capable Cartier to run the business. By 1853, Cartier had set himself up in a new store as a jeweller and gem-setter, but also selling direct to the public. It was an exciting time in the trade, Emperor Napoleon III (1808-73) had just married the Spanish aristocrat Doña Eugénie de Montijo (1826-1920), and several firms were engaged to rework jewellery for the new Empress. Cartier’s first important female client was Comtesse Thécla (1810-84), wife of Alfred Émilien, Comte de Nieuwerkerke (1811-92), a sculptor and Surintendant des Beaux-Arts. The Comte was intimate with Princess Mathilde Bonaparte (1820-1904), the Emperor’s cousin, who was estranged from her Russian husband Prince Anatoly Demidov (1813-70). Through the Nieuwerkerke connection, Cartier started to receive commissions from Princess Mathilde, his entré into Court circles. In 1859, possibly at the Princess’ instigation, the Empress Eugénie ordered a silver tea-service from Cartier. Flushed with his social success, Cartier moved his business to the more fashionable Boulevard des Italiens, and brought his son (Louis-François) Alfred Cartier (1841-1925) into the firm. In 1870 France was defeated by Prussian forces, and the subsequent fall of Napoleon III led Alfred to seek refuge in England (1871-73), where he established a temporary boutique and began to supply jewels to the Court of St. James. Alfred returned to Paris and took over the business in 1874, but the connections he established during his period of exile would prove beneficial in future decades. During the economic upheaval of the 1870s, characterised by power struggles between royalists and republicans, Cartier continued to supply wares to both royalty, the nobility and the wealthy bourgeoisie. Alfred’s sons all joined Cartier: Louis-Joseph (1875-1942), an innovator whose vision was to play a crucial role in shaping the firm’s design philosophy and public image; Pierre-Camille (1878-1965), a connoisseur of fine stones and a talented entrepreneur; Jacques-Théodule (1884-1941), artistically gifted and adept at navigating social and cultural mores. In 1899, Cartier signalled its wider ambitions by moving to the prestigious rue de la Paix, soon to be ‘the most expensive street in the world’. The boutique was adjacent to the world-famous couturier Worth, official dressmaker to the Empress. Established by the father of haute couture Charles Frederick Worth (1825-95), at this time the house was run by his sons Gaston and Jean-Philippe. Proximity to the fashion houses, parfumiers, and purveyors of accessories meant that Cartier was firmly within the orbit of an international clientele, and “became an integral part of the image of a person of fashion.”1 There were several important factors that contributed to the circumstances whereby Cartier became pre-eminent in its field: the most important was the discovery of high-quality diamond deposits in South Africa in the late 1860s. The international sales made by the De Beers Mining Company initially caused prices to fall, which paradoxically helped jewellers. With fine jewellery suddenly within the reach of the newly affluent middle classes, workrooms expanded as demand for stock increased. It may sound strange to the contemporary reader, but the advent of electric lighting made a lot of grand family jewellery look decidedly flat. The old gold and silver settings looked cumbersome, and stones that had flickered pleasantly in candlelight now seemed smothered by their metal housings. Louis-Joseph Cartier was dissatisfied with working in silver because it was too malleable and subject to oxidization and blackening. 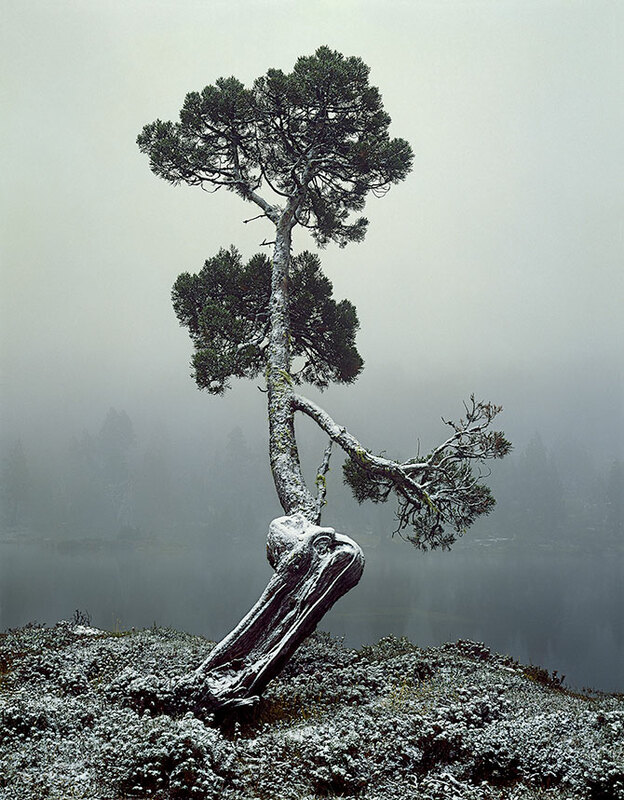 He boldly explored the possibilities offered by platinum, discovered in the Urals in 1822. The German researcher Wilhelm Carl Heraeus (1827-1904) refined a new smelting process in 1896 that could produce large quantities of the pure metal for the jewellery industry.2 There was resistance from some individual craftsmen who strove to maintain the nineteenth-century metalworking techniques, and the price of platinum may have been a factor in the price of certain commissions. Nonetheless, Louis-Joseph was determined to embrace the exciting properties of this new metal with its near-white shimmering surface, that was both light to wear, pliable and incredibly strong. Cartier, Paris, ‘Crocodile necklace’ (1975), gold, 1,023 brilliant‑cut fancy intense yellow diamonds (60.02 carats), 2 navette‑shaped emerald cabochons, 1,060 emeralds (66.86 carats), 2 ruby cabochons,30 and 27.3 cm (length, each), (Formerly in the collection of María Félix). Cartier Collection. As the Art Nouveau style flourished in Paris and other European capitals in the early 1900s, Louis-Joseph remained unmoved. He preferred the simplicity of classical lines that harkened back to earlier French design traditions, and he set about experimenting with various motifs that would convey the lyricism he sought. The result, style Guirlande (‘Garland style’), featured flowing curves, intertwined patterns and symmetrical compositions that emphasised the interplay between the solid elements and the contrasting voids in the design. The ‘Garland style’ was an emphatic statement of difference between Maison Cartier and its rivals, an “innovative and virtuoso use of diamonds, platinum and millegrain settings to reinvent and refine eighteenth-century French neoclassicism in the form of sparkling, fluid and ethereal jewels”.3 In 1902 a Cartier boutique opened in London, led by Pierre and Jacques until 1906 when Jacques assumed charge; a third store was inaugurated in New York in 1909, under Pierre’s supervision, all to disseminate Cartier’s scintillating new range to ever more customers. Beginning with the ‘Garland style’, exhibition designers Nathalie Cringer and Anne Leas have fashioned distinct interludes dedicated to Cartier’s most important stylistic and production developments. The influence of the Ballets Ruses of Serge Diaghilev (1872-1929) is reflected in the work of designer Charles Jacqueau (1885-1968) who modified the ‘Garland style’ with a number of ‘oriental’ additions and a bolder colour palette. The viewer progresses through the sections on ‘New Silhouettes: Cartier and the Jazz Age’, and ‘Foreign Fascination’, which explores the influence of India and the Islamic world, Egypt, East and Southeast Asia on Cartier’s designs, reflecting the immense appeal these distant worlds had in the public imagination. The different colour-schemes for each thematic group, and many three-dimensional display cases where the works can be viewed from both sides, adds to the atmosphere of being ensconced in one of the boutiques. ‘The Art of Smoking’ looks at the large range of tobacco accoutrements Cartier’s workshop produced, and ‘Masculine Luxury’ highlights the particular relationship Cartier has cultivated with its male clientele over the course of its history, particularly in the areas of watches, accessories, and ceremonial wear. A designated space focuses on the individual workshops involved in production, with a selection of tools used by the artisans and a DVD display explaining the manufacturing process employed: cutter, polisher, setter, jeweller, and designer, with the plaster casts taken to document every finished piece. Xavier Gargat, the former Directeur d’Ateliers for Cartier haute Joaillerie (1999-2015), gave a lecture at the NGA’s James O. Fairfax Theatre, 20 April, 2018, discussing some of these stylistic developments, and the background to several of the exhibition’s important pieces. At a Geneva auction in 1973, Maison Cartier bought back a piece it manufactured fifty years earlier: a Portique Mystery clock (Pendule mystérieuse Portique). Over the following decades Cartier actively reacquired significant objects from its own production for conservation purposes: jewellery, watches, clocks, objets d’art, and a range of luxe accessories such as evening bags, nécessaires, and minaudières, hat and hair pins, money clips and buckles. Cartier undertook many commissions for bespoke and customised items, including those designed for personal grooming such as cosmetic holders, perfume bottles, vanity cases, and dressing table sets (nécessaire de toilette). Their range of luxury items for daily life included letter openers, inkwells, barometers, writing implements, picture frames, ashtrays, and magnifiers (loupe de bureau), and extended to leisure pursuits with playing card cases, opera glasses, drink stirrers, picnic and travel sets, and umbrella handles. The Cartier Collection was established in 1983, comprising a diverse range of items dating from as early as 1860 up to the 1990s. These particular pieces act as material records of Cartier’s history, but also provide a wider historical account of the evolution in taste and style within the decorative and applied arts since the end of the 19th century. The Cartier Collection held its first major exhibition, L’Art De Cartier, at the Musée du Petit Palais in Paris (1989-90), and has shown selections from its holdings at many of the world’s foremost art institutions since. The most important exhibition ever devoted to Cartier to date, Cartier: Style and History, at Réunion des Musées Nationaux: Grand Palais, Paris (2013-14) presented 539 works drawn from the Collection, and another hundred items from other lenders. Curated by Laurent Salomé and Laure Dalon, the pieces were displayed alongside vintage dresses and accessories, advertising photographs, engravings and fashion magazines, as well as 300 preparatory drawings and documents from the Cartier Archives. 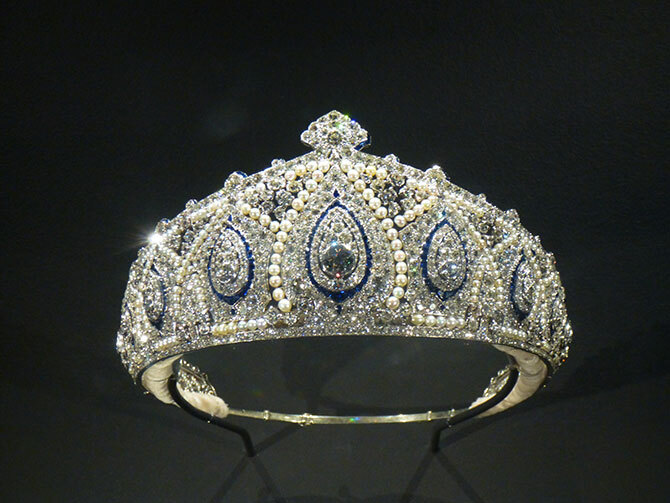 Earlier in the year the Cartier Collection loaned a Tiara (1909) to the exhibition Ocean Liners: Speed and Style at the Victoria & Albert Museum, London. It belonged to Lady Marguerite Allan (1873-1957), and survived the sinking of the RMS Lusitania in May, 1915. Currently, four pieces from the Collection are on display as part of the exhibition Past Is Present: Revival Jewelry at the Museum of Fine Arts, Boston (until 19 August, 2018). Other items purchased or acquired by the socially prominent and famous often subsequently became an identifiable part of their public persona. Two similar Bracelets (1930), composed of diamond and platinum bars intersected by D-shaped rock crystal discs, belonged to the film icon Gloria Swanson (1899-1983). Like many stars of that era, Swanson’s personal wardrobe and accessories often featured in her professional life, including studio publicity portraits. She can be spotted wearing these luminous cuffs in Perfect Understanding (Cyril Gardner,1933), and in arguably her most famous film Sunset Boulevard (Billy Wilder, 1950). A stunning Necklace (1938/63) of twenty-nine graduated cabochon emerald drops, interspersed with pavé diamond rondelles, belonged to actress Merle Oberon (1911-79). It was a gift from her first husband, the Hungarian-born director Sir Alexander Korda (1893-1956), and Oberon wore it frequently throughout her Hollywood career, including in the film Of Love and Desire (Richard Rush, 1963).5 A handsome circular diamond Brooch (1928) once caught the eye of the flamboyant pop star Sir Elton John, and presumably graced the lapel of one of his outlandish jackets. A performer of a different sort, but one who was amongst the most famous of her age, was the lyric soprano Dame Nellie Melba (1861-1931). Born in Richmond, Victoria, after a brief and unsuccessful marriage in her early twenties, Melba moved to Europe to study and pursue her singing career. She made an emphatic European début in Verdi’s Rigoletto at the Théâtre la Monnaie, Brussels, 12 October, 1887, and followed that a few nights later in La Traviata. Melba’s exceptional purity of tone and perfect pitch was widely praised, and her ascent to the pinnacle of her profession was swift. Her success throughout Europe, the United Kingdom, and in America (she was the first Australian to appear on the cover of Time magazine, in April, 1926), led to widespread adulation in her homeland, and many lucrative concert appearances. Although live musical performances defined a singer’s celebrity before the advent of high-quality recordings or radio, Melba’s first recordings on cylinders were made around 1895. Unimpressed with the results, she did not record again until 1904 when the technology of gramophone discs allowed for a more faithful result, ensuring that her fans could partake of her artistry- and also expand her revenue stream. Accompanied by a sound installation, the display ‘Cartier and the Diva’ highlights Melba’s patronage of the firm from 1901 onwards (some 137 visits up to 1908), and her enjoyment of the trappings of stardom.6 In the early 1890s, Melba was seen in several European capitals on the arm of her lover Prince Philippe, Duc d’Orléans (1869-1926), and as an independently wealthy and socially prominent woman she continued to move in exalted circles. Melba sang the national anthem at the Grand Coronation Concert for Edward VII (1841-1910) held at the Albert Hall on 11 June, 1902. For her performance she ordered an exquisite diamond and pearl Devant de corsage (1902) to be custom-made by Cartier Paris. The imposing Louis XVI‑style jewel hangs from a chain of collet-set diamonds interrupted by two ovals composed of bows and wreaths. The central sculptural component incorporates interlaced scrolls, pearl and diamond pendants, and flexible swags of flowers and leaves. This intricate Belle Époque piece is on loan to the exhibition from Melba’s great-grandson Lord Samuel Vestey, 3rd Baron Vestey, currently Master of the Horse to the Royal Household. It joins other items by Cartier owned by Melba including a Floral basket pendant watch (1909) and a Comet clock (c.1913), a Hairpin (c.1912), Hat pins (1919), and a silk brocade Evening clutch bag (c.1925) garnished with diamonds and gems. Maison Cartier was appreciative of Melba’s patronage, and recognised the favourable publicity it generated when she appeared in public, or gave interviews. 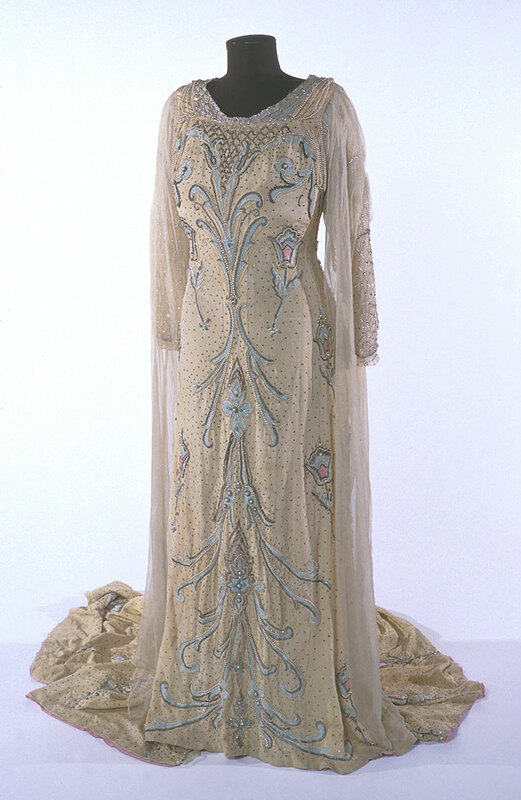 The London store regularly loaned items for her to wear during performances, “thus Victor Dautremont, Pierre Cartier’s young London assistant was regularly sent down to Covent Garden with extravagant jewellery for Nellie Melba, which had to be warmed before it could touch the sensitive skin of the artist.”7 Donated to the Arts Centre, Melbourne, by Melba’s only grandchild Pamela Armstrong, Lady Vestey, a Dress (c.1900) gives the viewer some idea of the spectacle Melba would have made on stage, glittering in Cartier jewellery. Made of pale lemon crêpe lined with pink silk, it was worn for a production of Roméo et Juliette by the French composer Charles-François Gounod (1818-93). The body, skirt and demi-train of the costume are embroidered with pale blue and pink flower motifs, with borders of pearls, beading and metallic decoration. Swags of pearl loops hang from the shoulders, echoed in lattice-like patterns on the fitted forearms of the sleeves. Unknown Maker, ‘Dress’ (c.1900), silk crêpe, silk lining, pearls, beads, diamantés, embroidery, metallic decoration. (Formerly owned by Dame Nellie Melba. Gift of Pamela, Lady Vestey, 1977). Dame Nellie Melba Collection: Australian Performing Arts Collection, Arts Centre, Melbourne. Cartier, Paris, ‘Devant de corsage’ (1902), platinum, diamonds, pearls, (Formerly in the collection of Dame Nellie Melba), Collection of Lord & Lady Vestey, Gloucestershire). The nearby marble bust Melba (1899) was commissioned by the sitter herself from another successful expatriate Australian, Sir Edgar Bertram Mackennal (1863-1931), and donated by her to the National Gallery of Victoria in 1900. The large painting Madame Melba (c.1902-04) by the Hungarian artist Baron Arpad Paszthory (1867?-1946) used to hang in the dress circle vestibule at the Princess Theatre, Melbourne. It depicts a seated Melba wearing her Cartier diamond necklace on its tiara frame, featuring eleven hanging diamond bows with framed diamond drops. The impressively large central pear-shaped diamond drop weighed about ten carats, while the others are around five carats, which took the Cartier workroom six years to assemble. She also wears a strand of pearls and several brooches pinned to the bodice of her gown. These accompanying works convey the somewhat imposing persona Melba cultivated, the glamour she projected in public, and the opulent lifestyle led by one of the great stars of the era. Cartier has assiduously maintained its reputation as joaillier des rois, et roi des joailliers (‘the jeweller of kings, and the king of jewellers’). The British royal family’s patronage of Cartier began with Edward VII, who coined the phrase.8 He reportedly encouraged the firm to open a London branch, and in 1904 he bestowed on Cartier its first Royal Warrant. Other monarchs followed suit: Alfonso XIII of Spain (1886-1941) in 1904; Carlos I of Portugal (1863-1908) in 1905; Nicholas II (1868-1918) of Russia in 1907; George I of Greece (1845-1913) in 1909; Peter I of Serbia (1844-1921) in 1913; Albert I of Belgium (1875-1934) in 1919; Victor Emmanuel III of Italy (1869-1947) in 1920, and Zog I of Albania (1895-1961) in 1939. This completed Cartier’s remarkable elevation as ‘official purveyor’ to most of the crowned heads of Europe. The Maison’s largest commission, from HH. Maharaja Bhupinder Singh of Patiala, was to fashion thousands of pearls and gemstones from the royal treasury into an array of new jewels. 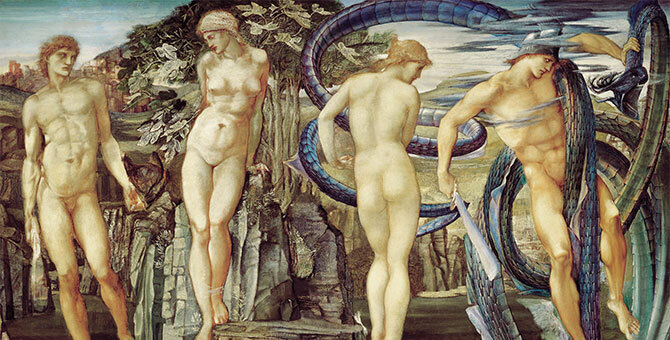 The commission took several years to complete and was publicised with an exhibition and large-format brochure in 1928. 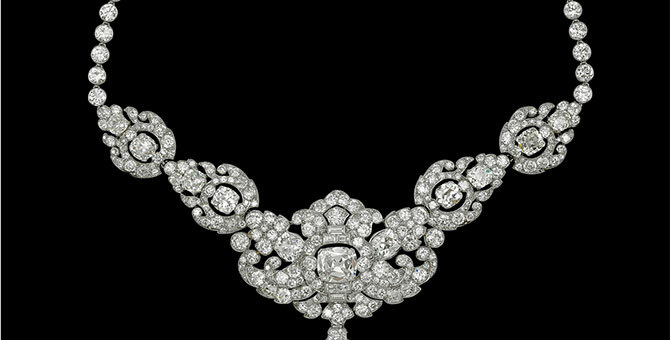 A Choker Necklace (1928) features large, pale yellow diamonds alternately framed by rows of white diamonds and pavé-set white diamond rings. 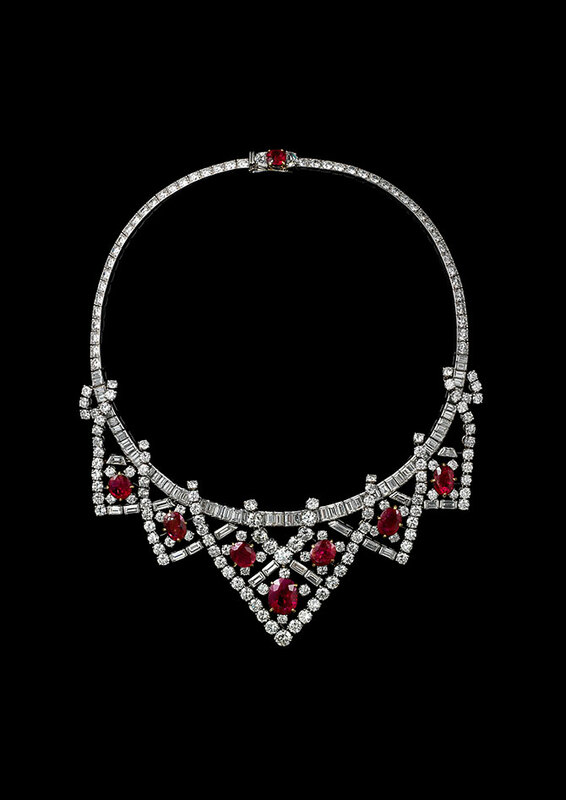 This was paired with a five-strand platinum ceremonial Necklace (1928), set with 2,930 white and coloured diamonds with two rubies linking the third and fourth strands. It originally included the light yellow De Beers diamond (234.65 carats) discovered in South Africa in 1888, as by this time India’s diamond sources were largely exhausted. Probably the largest work in the exhibition, this massive collar was lost during the 1940s when many of the largest stones were likely to have been removed. Cartier continues to restore the piece and has used some synthetic stones until more suitable replacements for the originals can be sourced. These necklaces, which covered the entire neck and chest, were worn by the Maharaja with strands of pearls and large diamonds, and a tiara-like ornament secured across his turban. Several years later he ordered a diamond and sapphire Pair of pendant earrings (1935) with fringes of navette-shaped sapphires. Cartier, Paris, (top) ‘Choker necklace’ (1928), platinum, 692 old‑cut diamonds (approx. 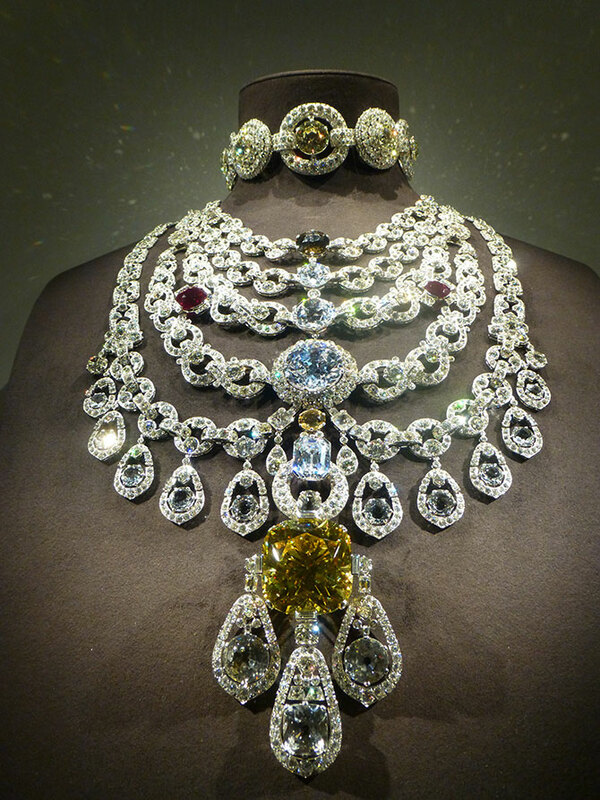 83 carats), 7 cushion‑shaped and round‑shaped old‑cut diamonds (76.55 carats), 34 cm (length, open) (bottom) ‘Necklace’ (1928), platinum, old- and rose-cut diamonds, 1 cushion-shaped yellow zirconia, 4 white zirconias, 13 white topazes, 2 synthetic rubies, 1 smoky quartz, 1 citrine, 27 cm (height at centre). (Formerly in the collection of HH. Maharaja Bupindher Singh of Patiala). Cartier Collection. (Installation photograph: Inga Walton). HM. Queen Elizabeth II has loaned five pieces to the exhibition, including a monogrammed Inkstand and desk clock (1957) in gold, lapis lazuli, and diamonds, a gift from the City of Paris during her State Visit to France in April 1957. Three items are from the Queen’s personal jewellery collection, including an extraordinarily rare and valuable wedding present. Dr. John Thoburn Williamson (1907-58) was a Canadian geologist and sole owner of Mwadui diamond mine in Tanganyika (now Tanzania). An ardent royalist, he gave the then Princess Elizabeth an uncut pink diamond of 54.5 carats, considered one of the finest ever discovered. Over a two-month period in 1948, it was cut by the firm of Clerkenwell to a 23.6 carat brilliant-cut stone. Another of Princess Elizabeth’s wedding presents came in a form that we would now consider akin to a gift voucher. In 1947, HEH. Nawab Sir Mir Osman Ali Khan Siddiqi, Bayafandi Asaf Jah VII, Nizam of Hyderabad (1886-1967) wished to give the Princess a suitable gift to celebrate her marriage. At that time, the Nizam’s personal jewel collection was reputed to be one of the most spectacular in the world. From India, he instructed Cartier London that the future Queen was to have a new suite of her choice, so as to ensure that his gift would be to her taste. 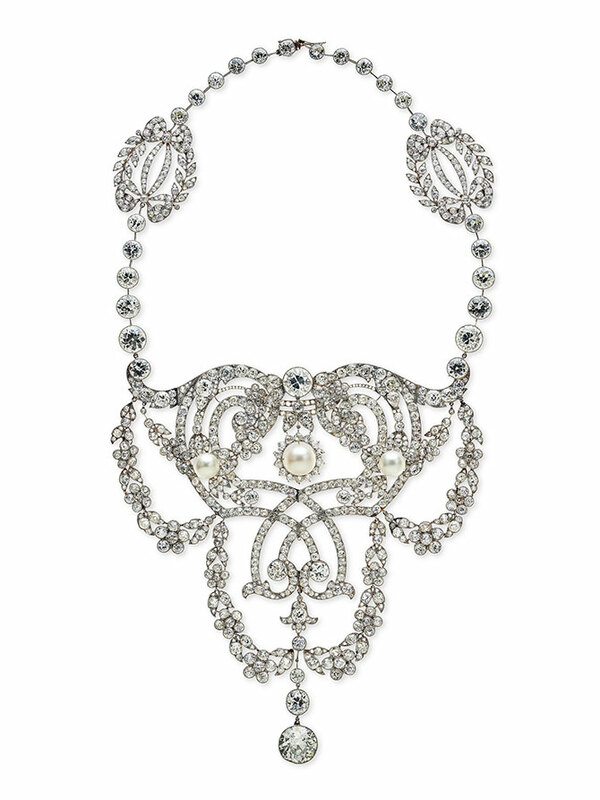 The Nizam of Hyderabad Necklace (1935) came into Cartier’s stock in a different configuration in November, 1935, whereupon nine diamond drops were removed to form a head ornament. 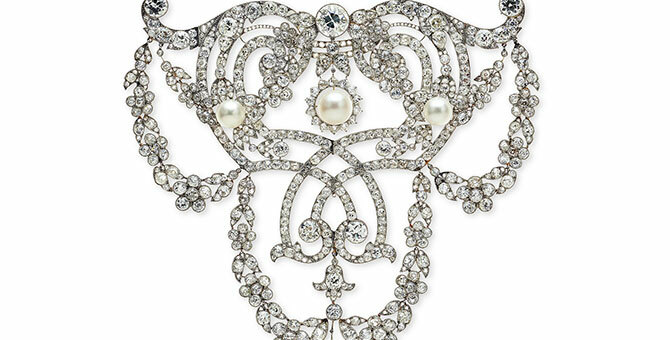 The necklace was sold in July, 1936, then repurchased by Cartier in May, 1937. 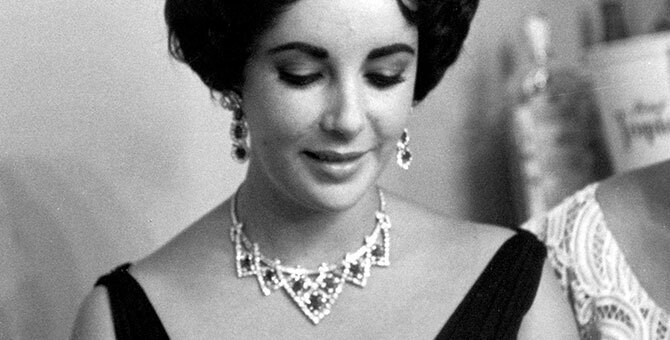 After it was selected as one of the Nizam’s gifts, the chain was reduced from forty-six collet diamonds to thirty-eight to better suit the Queen.12 She subsequently wore it with a black strapless taffeta evening gown by Sir Norman Hartnell (1901-79) for a distinctly glamorous portrait in 1951 by the official royal photographer Dorothy Wilding (1893-1976). For the Australian audience, the Hyderabad Necklace will be familiar because the Queen also wore it for one of her most famous portraits, the so-called ‘Wattle Queen’ painting by Sir William A. Dargie, CBE (1912-2003). The original painting, on loan from the Parliament House Art Collection, is displayed next to the necklace at the NGA.13 With the endorsement of the then Prime Minister, Sir Robert Menzies (1894-1978), the portrait was commissioned by Melbourne industrialist James P. Beveridge, who was adamant that there should be a portrait of the Queen ‘by an Australian artist for Australia’. Her Majesty Queen Elizabeth II (1954) commemorates the Queen’s first visit to Australia, and the first by a reigning sovereign, as part of the royal tour of the Commonwealth in 1953-54. The Queen sat to Dargie five times at Buckingham Palace in November and December of 1954. She wears the same gold tulle dress, also by Hartnell, adorned with sparkling gold wattle motifs at the shoulder and trailing down the skirt, seen twice during the visit. 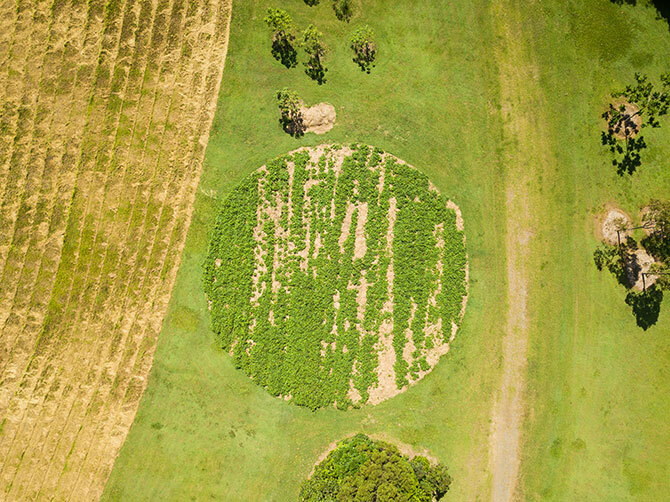 The portrait was widely disseminated in high quality reproduction throughout Australia and the region, and became an integral component of naturalisation ceremonies. It remains one of the most popular royal representations in Australian history; the Queen later requested that Dargie paint a third copy for her private collection.14 In 2014, HRH. the Duchess of Cambridge borrowed the Hyderabad Necklace to wear at a gala at the National Portrait Gallery, London where it was largely obscured by her ubiquitous ringlets. As a wedding gift, Lady Elizabeth received a charming floral diamond tiara from her father, the 14th and 1st Earl of Strathmore and Kinghorne. Known as the Strathmore Tiara (late 19th century), it is in the naturalistic style, formed as a garland of five roses separated by diamond sprays; the choice of design was intended as a reference to the heraldic symbol of the House of York. Worn by the new Duchess for several photographic portraits in the 1920s, it has not been publicly seen in over eighty years.17 From her father-in-law George V, she received a parure (c.1900), centred around the Persian Turquoise Tiara, sometimes known as the Triumph of Love Tiara, purchased from the Crown Jewellers Garrard.18 For reasons of tact, or perhaps comfort, Lady Elizabeth did not wear either of her wedding gift tiaras for the ceremony, opting for a wreath of orange blossom to anchor the veil of antique lace on loan from Queen Mary. The Halo Tiara was presumably intended to offer the Duchess a more fashionable and lighter alternative to the tiaras she already owned, and others she had borrowed. The Halo style of tiara was very popular during this period, particularly in London, and a rather more attractive example is also on display. Of stylised lotus flowers, Halo Tiara (1934) once belonged to Andrée Joséphine Carron (1898-1976), known as HH. the Begum Andrée Aga Khan, third wife of the socially prominent HH. Sir Sultan Muhammed Shah, Aga Khan III (1877-1957). The Duchess of York wore the Halo Tiara in public only once, the timing of the gift coming barely three weeks before a dramatic change in her status. After her husband’s accession as George VI in December, 1936, Elizabeth ceased wearing this relatively discrete tiara. The need to reassure the wider public, and project a thoroughly regal image in the wake of a significant constitutional crisis, saw Elizabeth adopt more imposing options from the royal treasury, suitable to her elevated role as Queen Consort and Empress of India. TRH. the Duke and Duchess of Gloucester have agreed to the loan of the Indian Tiara (1923/37), the first time it has been exhibited. The ornate and sumptuous piece is densely set with diamonds, sapphires and swags of pearls in a design of graduated mandorlas with a decidedly Eastern influence. The tiara is signed with the initials ‘HL’, probably for Henri Lavabre who worked exclusively for Cartier from 1906 to 1921.21 The tiara originally featured large pear-shaped aquamarines and was purchased by (Jane) Beatrice Forbes, Countess of Granard (1883-1972). The American heiress and thoroughbred racehorse breeder was a dedicated client of Cartier, but for some reason the Countess returned the tiara in March, 1937. Thereafter it was purchased by HH. Princess Marie Louise of Schleswig-Holstein (1872-1956), who later ordered a costly transformation of the diadem. The unusual mandorla motifs were maintained, but clusters of large diamonds replaced the aquamarines, and the original cabochon sapphires were swapped out for faceted ones. Cartier, Paris, ‘Indian tiara’ (1923, altered c.1937), platinum, diamonds, sapphires, pearls. Collection, TRH. the Duke and Duchess of Gloucester, London. (Installation photograph: Inga Walton). 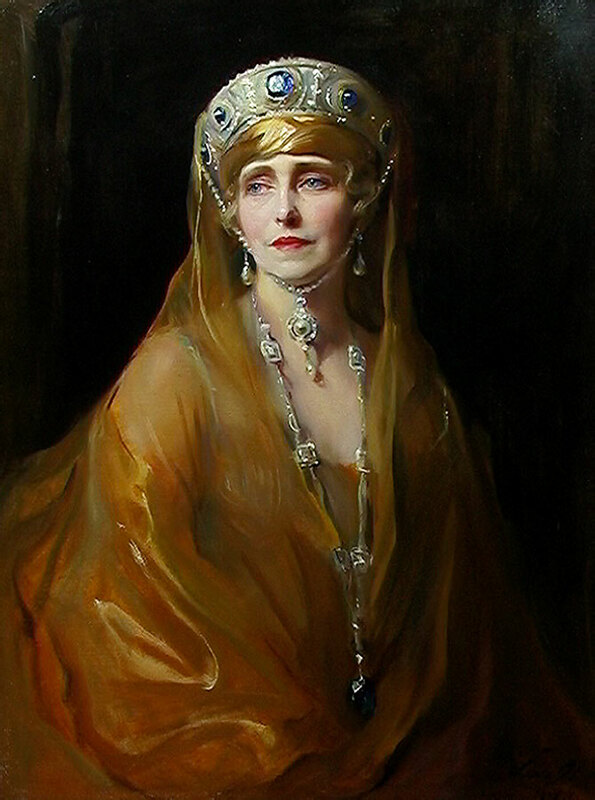 Philip Alexius de László, MVO (1869-1937), ‘Queen Marie of Romania’ (1924), oil on canvas, 92 x 70 cm. (Collection, National Museum of Peleș Castle, Sinaia, Romania). Princess Marie Louise, born Franziska Josepha Louise Augusta Marie Christina Helena, is a remarkable figure within the British royal family, whose fascinating and intrepid life is little remembered these days. She was the last surviving child of HRH. Princess Helena (1846-1923), fifth child and third daughter of Queen Victoria (1819-1901), who married HSH. Prince Christian of Schleswig-Holstein (1831-1917) in 1866. Marie Louise first met her future husband, Prince Aribert of Anhalt (1866-1933), in 1890 at the festivities surrounding the wedding of her cousin HRH. Princess Viktoria of Prussia (1866-1929) to Prince Adolf of Schaumburg-Lippe (1859-1916). While in Germany, Marie Louise rejected a proposal of marriage from the future Ferdinand I of Romania (1865-1927), who went on to marry her cousin HRH. Princess Marie of Edinburgh (1875-1938) in 1893. 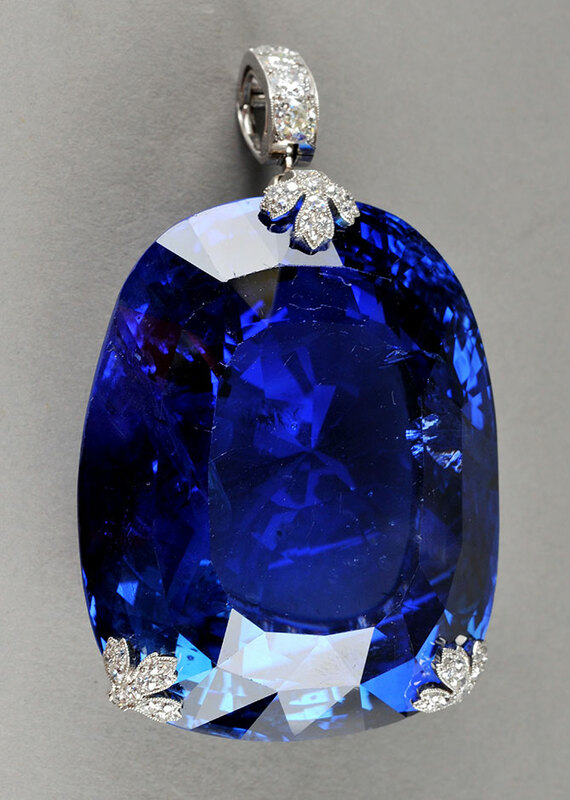 Cartier, Paris, ‘Pendant’ (1913), platinum, sapphire (478 carats), diamonds, 4.9 x 3.9 x 2.5 cm. (Formerly in the collection of HM. Queen Marie of Romania). Collection, Qatar Museums Authority. Marie Louise certainly did not retreat from public life in the wake of her personal humiliation. Known to her extended family as ‘Cousin Louie’, thereafter she devoted her life to charitable works, social welfare, and the arts. She was active in the administration of the Princess Christian Nursing Home (named after her mother), the St. Giles Home For Lepers, the Royal Free, University College, and St. George’s Hospitals, the Guide Dogs, the Navy League, and established the Girls’ Club & Settlement, Bermondsey, among many other worthy endeavours. Princess Marie Louise attended four British coronations, from Edward VII in 1902 to the present Queen in 1953, at which she wore the Indian Tiara in its modified form. She also wore it for two portraits by society photographer Sir Cecil Beaton (1904-80), in 1949 and 1953 respectively. Famously waspish in his assessments of his various sitters, Beaton expected to meet “an old gaga absurdity”, but by the end of the initial session he declared Marie Louise to be “absolutely enchanting”.29 Princess Marie Louise was the godmother of HRH. Prince Richard of Gloucester, the current Duke, and left the Indian Tiara to him. It was a typically thoughtful gesture, as Prince Richard was the younger son, and presumably Marie Louise wanted to ensure that his future wife would have a suitably grand tiara for formal events she might attend. Prince Richard pursued a career as a practising architect until the sudden death of his unmarried brother, Prince William of Gloucester (1941-72), while piloting his plane in a competition. Prince Richard gave up his career to take on additional family obligations and the weight of significant royal duties.30 The (outgoing) Director of the NGA, Dr. Gerard Vaughan, AM, was able to parlay the Gloucester family connection with Australia in order to secure the loan of the Indian Tiara. HRH. Prince Henry, Duke of Gloucester (1900-74) served as the eleventh (and only royal) Governor General of Australia (1945-47), through the turbulent period that saw three Prime Ministers: John Curtin, Frank Forde and Ben Chifley.31 Princes William and Richard lived in Canberra as children, and Vaughan knew Prince Richard from his time (1994-99) as Director of the British Museum Development Trust. HRH. the Duchess of Gloucester preserves a connection to Australia, as the Colonel-in-Chief of the Royal Australian Army Educational Corps. Cartier’s connection to the British royal family was continued more recently at the wedding, 19 May, 2018, of HRH. Prince Henry, Duke of Sussex. His bride Meghan Markle chose to wear diamond stud earrings from the Galanterie de Cartier collection, and a bracelet of brilliant and baguette-cut diamonds from the Reflection de Cartier collection, both in white gold. For the evening event, the new Duchess wore the matching (large model) earrings from the same Reflection collection: presumably she received them as a wedding present, fulfilling the ‘something new’ of the old adage. The presentation includes film clips of Swanson in Sunset Boulevard, Oberon in Of Love and Desire, Marilyn Monroe in Gentlemen Prefer Blondes (Howard Hawks, 1953) and Some Like It Hot (Billy Wilder, 1959), Audrey Hepburn in How To Steal A Million (William Wyler, 1966), and Grace Kelly in her final film High Society (Charles Walters, 1956). Prominently featured throughout that production was Kelly’s step-cut 10.47 carat Engagement ring (1956) from SAS. Prince Rainier III of Monaco (1923-2005).33 Cartier’s association with the Monégasque royal family dates back to 1920, when SAS. Prince Albert I (1848-1922) granted them his Royal Warrant. The ring joins an array of seven Cartier jewels on loan from the Palais Princier de Monaco, three of which were exhibited as part of Grace Kelly: Style Icon at Bendigo Art Gallery (2012). A diamond scrollwork Tiara (1949) with luscious pear-shaped hanging pearl drops belonged to Rainier’s mother Hereditary Princess Charlotte of Monaco, Duchess de Valentinois (1898-1977). Princess Charlotte wore the tiara to a gala event prior to her son’s marriage in 1956, but in recent decades it has only been worn in public by Charlotte’s granddaughter HRH. Princess Caroline of Hanover. Despite her success in Hollywood, Kelly (1929-1982) owned few substantial pieces of jewellery when she married, and certainly nothing suitable to her new role as Princess Consort. Her mother-in-law Princess Charlotte retained her own personal jewel collection, and consequentially many of the pieces Kelly acquired were either gifts or new purchases.34 As a wedding present from the Société des Bains de Mer (est. 1893), Kelly received a Set of three clip-brooches (1955), two matching and one slightly larger, of intersecting diamond sprays each emanating from a cabochon ruby. These versatile jewels can be mounted on a diamond band and worn as a necklace, or upright on an additional tiara frame, as they were displayed at the NGA. Princess Grace often wore the brooches in the tiara setting paired with her diamond rivière Necklace (1953), with its three rows of baguette and large brilliant-cut diamonds at the front, and a handsome diamond Bracelet (1955). Princess Grace’s near-contemporary and friend the actress and philanthropist Dame Elizabeth Taylor (1932-2011) sometimes visited her for events in Monaco, such as the Zodiac-themed ball celebrating the Princess’ fortieth birthday in 1969. 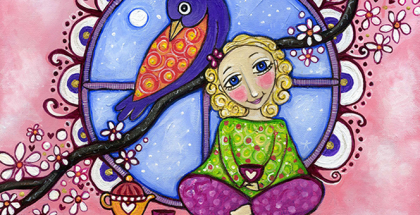 Taylor was the recipient of numerous extravagant gifts of jewellery throughout her tumultuous life. So synonymous with jewels did she become that in 2005 she developed a signature line, House of Taylor Jewelry, a collaboration with the model Kathy Ireland and Mirabelle Luxury Concepts. Taylor’s voracious appetite for jewels ensured that her impressive collection encompassed pieces from many of the most distinguished jewellery houses, including significant works acquired from and crafted by Cartier. Dame Elizabeth Taylor (1932-2011) at the Tropicana Hotel, Las Vegas in June, 1958 wearing the Cartier ruby set (1951) from Mike Todd. © Photofest. Taylor wore the suite to the London première of Around the World in Eighty Days (Michael Anderson, 1956), 2 July, 1957, at the Astoria cinema attended by TRH. Princess Marina, Duchess of Kent, and her daughter Princess Alexandra. The necklace could be mounted on a frame and worn as a tiara, as modelled by the artist Niki de Saint Phalle (1930-2002) in a photograph by Henry Clarke for Vogue in 1953. However, Taylor is unlikely to have worn it in that configuration, as Todd bought her a diamond tiara (c.1880) the very same year, which Taylor débuted at the Oscar ceremony when Around the World claimed Best Picture. Taylor’s extensive jewellery collection was sold at Christie’s in 2011 at which time the Cartier Collection acquired her gold Cuff bracelet (c.1976) with its circular cut v-shaped plaque set with pavé diamonds. The Mexican actress and femme fatale María Félix (1914-2002) was recognised throughout the Latin world for her fiery personality and larger-than-life screen presence. Known to her legion of fans as La Doña, after her titular role in Doña Bárbara (Fernando De Fuentes & Miguel M. Delgado, 1943), Félix made nearly fifty films, becoming one of the most successful and widely acknowledged figures of Latin American cinema in the 1940s and 1950s. 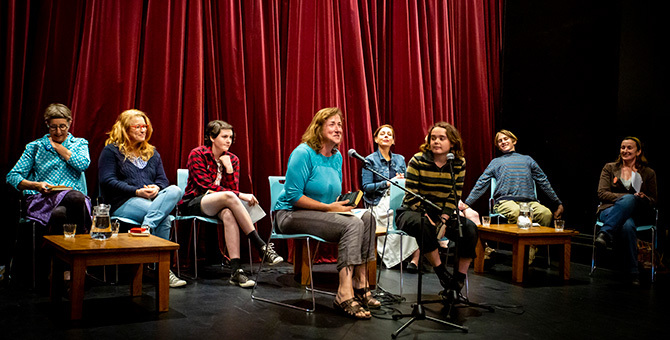 Félix was admired for her portrayal of no-nonsense strong women beyond the traditional mould, and for subverting filmic stereotypes associated with ‘latina’ characters in mainstream cinema. 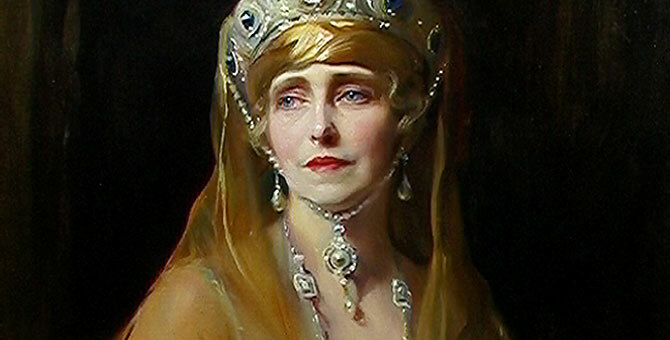 As befitted her reputation, Félix preferred extravagant ‘statement’ jewels, and Cartier obliged her with some extraordinary feats of workmanship. The articulated and three-dimensional Snake necklace (1968) is set with 2,473 baguette and brilliant-cut diamonds (178.21 carats), with pear-shaped emerald eyes, and the scales on its underside are decorated with red, green and black enamel. Félix moved to Paris after her fourth marriage in 1956 to the Romanian-born French banker Alexander Berger, and became part of the capital’s elite beau monde. To assuage her depression after the death of her mother Josefina, followed months later by Berger, in 1974, Félix took charge of his thoroughbred racehorses stabled at Chantilly. She became a prominent and decidedly glamorous figure on the European racing scene, and attended the major events on the calendar; Félix (and her horses) were also prominent clients at Hermès. 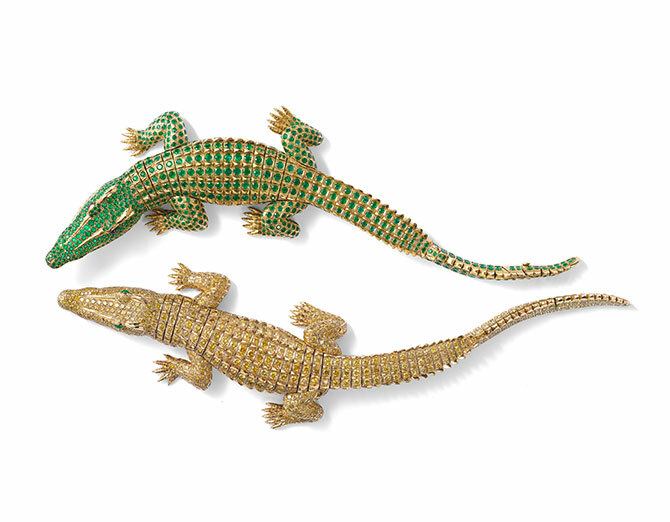 A Crocodile necklace (1975) followed Félix’s widowhood, and perhaps represents a statement of defiance in the face of her bereavement. 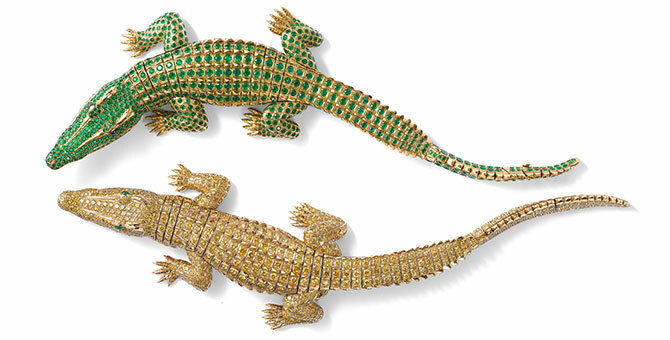 Designed as two fully articulated creatures, one is set with cabochon emerald eyes and 1,023 brilliant-cut yellow diamonds (60.02 carats), the other with cabochon ruby eyes and encrusted with 1,060 circular-cut emeralds (66.86 carats). They can also be detached from each other and worn separately as brooches. So clever is the design, that the crocodile’s inner feet can be replaced by clawless versions that will not irritate the skin when worn in the necklace setting. One of the most controversial women of her time, who still generates scorn and fascination in equal measure, was the scandalous American socialite (Bessie) Wallis Simpson, Duchess of Windsor (1896-1986). With her distinctly brittle type of chic, modish look, and penchant for haute couture, Simpson was a renowned fashion plate. In the mid-1930s, when he was still Prince of Wales, Simpson began a relationship with the future Edward VIII (1894-1972). At that time, she was married to her second husband, the shipping executive Ernest Simpson, and making inroads into London society. After Edward VIII’s abdication and the Simpson’s divorce the couple was married in France on 3 June, 1937. Perhaps to compensate for the snubs Simpson received from his family, particularly after being denied the style of ‘Her Royal Highness’, the new Duke of Windsor lavished yet more highly personal and distinctive jewellery on his wife- fit for the queen she would never be. Simpson is particularly associated with the Panthère de Cartier jewels, and did much to popularise them. 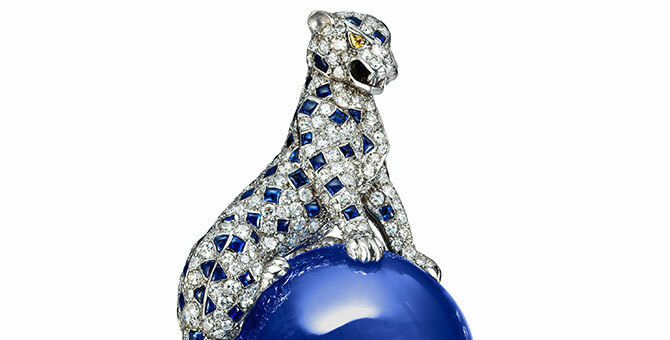 The panther first appeared in the firm’s history on a pendant watch (1914), and has since become Cartier’s unofficial emblem, much like the red box. 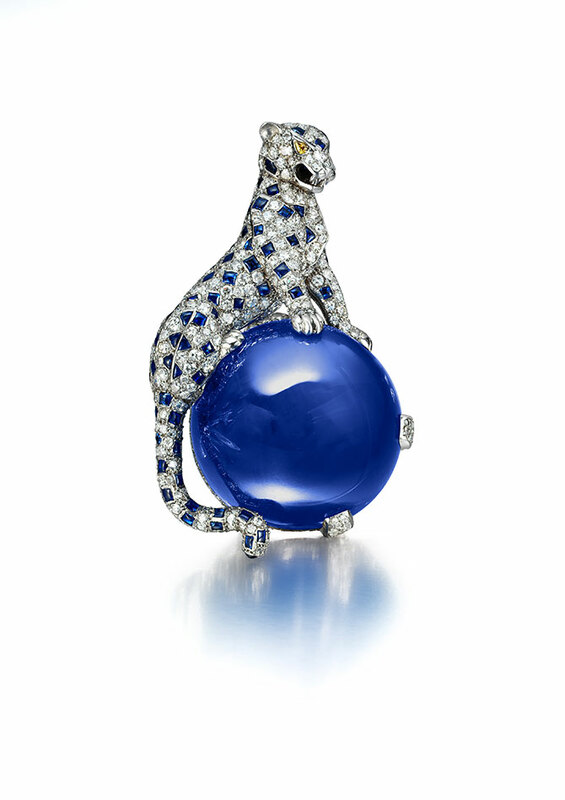 Simpson owned one of the most iconic pieces that the Maison has ever produced: Panther clip brooch (1949), a diamond great cat flecked with sapphire spots prowling atop a cabochon Kashmir sapphire of 152.35 carats. Acquired over the course of two decades, Simpson’s ‘Great Cat’ collection also included an outstretched Panther bracelet (1952). Such was her enthusiasm for the style, she even had Cartier customise a reading aid for her in gold and emeralds, Tiger lorgnette (1954). Also on display is another piece from Simpson’s menagerie, a large diamond-studded Flamingo brooch (1940), its plumage improbably rendered in a colour scheme utilising calibré-cut emeralds, rubies, and sapphires. Typical of the Duke’s utter indifference to current events, he gave the gift to Simpson on the eve of France’s fall to the Nazis. Displayed nearby is correspondence preserved in the Cartier Archives that demonstrates the Duke’s particular attention to anything concerning the outward symbols of his status. Writing from Schloss Wasserleonburg in Nötsch, Austria, on 2 July, 1937, his instructions to Jacques Cartier in London concern alterations to he and his wife’s formal monograms to be used on letterhead and other ciphers. With some irritation he asserts, “I have been expecting to hear from you regarding the out-of-date presents with the ‘E.R.I’ [Edward Rex Imperator] monogram, delivered to you by Mr. Carter early last month, with instructions to give me credit for these. I would like to hear from you on this matter, and will you please send your last account as well”. Less than a month after his deeply divisive wedding left the nation and the Dominions aghast, the Duke of Windsor is oblivious that this course of action will see him, and his widely detested wife, shuffled off the public stage and into irrelevancy. After her death, Simpson’s cache of jewels was sent to auction on the instructions of her controversial lawyer Suzanne Blum. The sale at Sotheby’s in 1987 caused a sensation, with the £31 million in proceeds going to benefit the Pasteur Institute. The Hon. Daisy Fellowes (1890-1962), a friend of the Windsors who often entertained the couple on her yacht, was born Marguerite Séverine Philippine, the only daughter of Jean Élie, 3rd Duke Decazes et Glücksbierg. She was an heiress to the Singer sewing machine fortune, and predominantly raised by her maternal aunt, the arts patron and philanthropist Winnaretta Singer, Princesse Edmond de Polignac (1865-1943). Married firstly to Jean Amédée, Prince de Broglie (1886-1918), who died while serving in Algeria, the next year the widowed Daisy married the banker Hon. Reginald Ailwyn Fellowes (1884-1953), the second son of the British politician William Fellowes, 2nd Baron de Ramsey (1848-1925). A leading social figure on both sides of the channel, Fellowes was the Paris Editor of American Harper’s Bazaar magazine (1933-35), and vied with Wallis Simpson for the title of the world’s ‘best-dressed woman’. Often clad in Schiaparelli couture, Fellowes was one of Cartier’s most loyal clients, a relationship stretching from the 1910s to the 1960s. Frequent coverage of her trend-setting style, in fashion magazines and the social pages, helped to publicise some of Cartier’s more outré designs. These included the multicoloured gem-set jewellery known as ‘Tutti Frutti’, inspired by ‘barbaric’ Indian designs using carved gems. Credited to Henri Lavabre, Fellowes’ sensational Hindu necklace (1936) was created by dismantling a Cartier necklace and a bracelet (1928-29), already in her collection. It has a dramatic fringe of carved flower heads, foliage and buds made of sapphires, emeralds and rubies decorated with diamonds. Another woman known for her wealth, boldness and style was Dame Edwina Mountbatten, Countess Mountbatten of Burma (1901-60). Years prior to becoming the last Vicereine of India in 1947, she bought an unusual Tutti Frutti bandeau (1928) that can be separated into two sections and worn as bracelets. 1 Hans Nadelhoffer, Cartier, Thames & Hudson, London, 2007, p.25. Louis-Joseph Cartier was married to Jean-Philippe Worth’s daughter Andrée from 1898 to 1910. Later, Alfred Cartier’s daughter Suzanne would marry Gaston Worth’s son Jacques. | 2 Ibid, p.48. | 3 Pierre Rainero, “Cartier and Twentieth-Century Decorative Art: A Distinctive Vision”, in Margaret Young‑Sánchez (Ed. 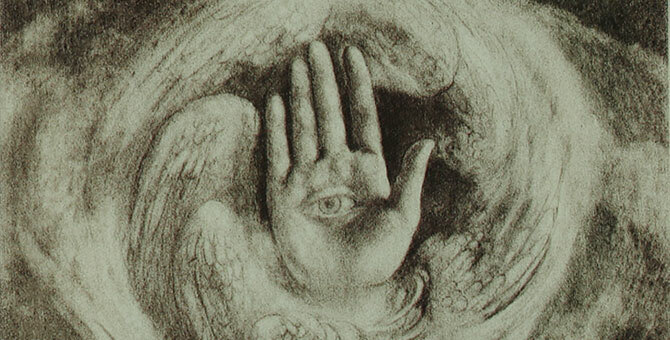 ), Cartier In the 20th Century, Vendome Press, New York, 2014, p.13. | 4 Stefano Papi & Alexandra Rhodes, 20th Century Jewelry & the Icons of Style, Thames & Hudson, London, 2013, p.142, 144, 152. | 5 Penny Proddow, Marion Fasel & Debra Healy, Hollywood Jewels: Movies, Jewelry, Stars, Abradale Press, New York, (1992) 1996, p.92-93. | 6 Glynis Traill-Nash, “Diamonds, forever”, The Weekend Australian (‘Review’), 24-25 March, 2018, p.9. | 7 Hans Nadelhoffer, op cit, p.76. | 8 Philippe Trétiack, Cartier, (trans. Jane Brenton), Thames & Hudson, London, 1997, p.5-6. | 9 Hans Nadelhoffer, op cit, p.7. | 10 Margaret Young-Sánchez & Yvonne Markowitz, “Foreign Fascination”, in Margaret Young-Sánchez (Ed. ), op cit, p.87. | 11 Sir Hugh Roberts, The Queen’s Diamonds, Royal Collections Publications, London, 2012, p.294. | 12 Ibid, p.282. With the remainder of the Nizam’s gift, the Queen also selected a diamond tiara from Cartier (1939). Of a graceful floral design, it had three detachable rose brooches, one central and two smaller. Sadly, the tiara was broken up in 1973, and the rest of the stones were reused by Garrard to create a new tiara to house ninety-six rubies given by the government of Burma. The Queen still occasionally wears the brooches, p.286. 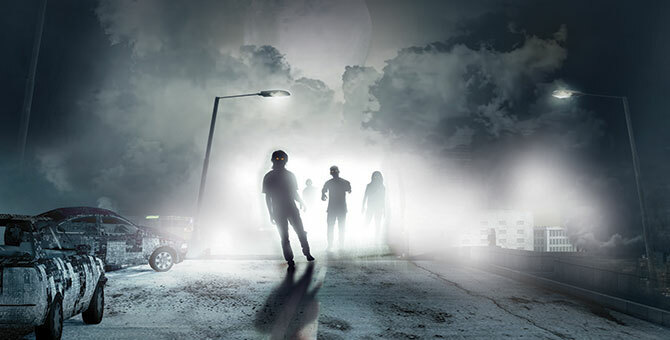 | 13 Such was the anxiety that the work might be damaged in transit, Dargie painted a ‘spare’. He gave the second version to Sir Neil and Lady Mary Hamilton Fairley in 1955, in whose London flat he had stayed while completing it. This version was acquired at auction in 2009 by the National Museum of Australia. 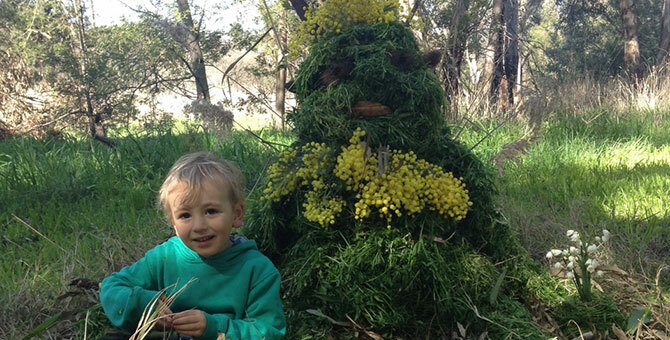 | 14 see Laura Breen’s authoritative essay, “Dargie’s ‘Wattle Queen’: Popular monarchism in mid-twentieth-century Australia”, reCollections: A Journal of Museums and Collections, Volume 6, Number 1, April, 2011, National Museum of Australia [online]. | 15 Sir Hugh Roberts, op cit, p.222. | 16 Leslie Field, The Queen’s Jewels: The Personal Collection Of Elizabeth II, Weidenfeld & Nicolson, London, 1987, p.46. | 17 The Strathmore Tiara was purchased from the London jeweller Catchpole & Williams. This versatile piece was supplied with two frames, one invisible (to wear as a bandeau across the brow), the other padded (for wear on the head). It could also be dismantled to form five brooches, and the centre diamonds could be interchanged with five single-collet sapphires. See, Roberts, op cit, p.220. | 18 Geoffrey C. Munn, Tiaras: A History Of Splendour, Antique Collectors’ Club, Woodbridge, (2001) 2002, p.181. The Persian Turquoise Parure did not seem to be a favourite of Queen Elizabeth, who seldom wore it. HRH. Princess Margaret received the four-piece set from her parents as a twenty-first birthday present, and wore the pieces throughout her life. It was one of the gifts of family jewellery spared from the controversial sale of Margaret’s personal property at Christie’s in 2006. Its current owner is unclear, but it is likely to have been retained for the use of Margaret’s daughter-in-law, Lady Serena Stanhope, the current Countess of Snowdon. | 19 In 1972, the Queen gave Princess Anne the Meander Tiara. It had belonged to HRH. Princess Andrew of Greece and Denmark (1885-1969), born HSH. Princess Alice of Battenberg, and also known as Mother Superior Alice-Elizabeth from 1949 after she became a nun. Princess Andrew was the mother of HRH. Prince Philip, Duke of Edinburgh, and gave the tiara to her daughter-in-law as a wedding gift in 1947. The Queen never wore the Meander Tiara in public, but Princess Anne has worn this family piece frequently, and loaned it to her daughter Zara Phillips for her wedding in 2011. Anne also received the Festoon Tiara in 1973 as a gift from the Hong Kong-based World Wide Shipping Group when she christened one of their ships, and thus had no further need of the smaller Halo. | 20 HRH. the Duchess of Cambridge has not worn the Halo Tiara since her wedding. It was loaned to the exhibition Cartier: Style and History (2013-14) at Réunion des Musées Nationaux: Grand Palais, Paris, and then to the present exhibition. For official receptions, the Duchess has worn two further tiaras on loan from the Queen. She has twice worn the Lotus Flower Tiara that was created from a necklace given to Queen Elizabeth, the Queen Mother by George VI. This tiara was once a favourite of Princess Margaret who loaned it to her daughter-in-law, Lady Serena Stanhope, for her wedding to David, Viscount Linley in 1993. Margaret retained the loan of it until her death in 2002, when it reverted back to her mother (who died seven weeks later). Appropriately, the Duchess has more recently borrowed the Cambridge Lover’s Knot Tiara (1913), last worn by her late mother-in-law, Diana, Princess of Wales (1961-97). | 21 Geoffrey C. Munn, op cit, p.147. | 22 HH. Princess Marie Louise, My Memories Of Six Reigns, Evan Brothers, London, (1956), 1979, p.67-68. | 23 Ibid, p.110. | 24 Ibid, p.112. | 25 Ibid, p.69. | 26 Ibid, p.113. | 27 Ibid, p.114. | 28 see Chapter 9: Travels, Ibid, p.239-81. According to Princess Marie Louise, she was the first woman to fly over Victoria Falls, in a hydroplane, p.259. | 29 Sir Roy Strong, Cecil Beaton: The Royal Portraits, Thames & Hudson, London, 1988. p.145. | 30 Prince Richard’s wife, the Danish Birgitte van Deurs whom he married in 1972, now has at her disposal one of the most impressive tiara collections in the extended royal family. She inherited three tiaras from her mother-in-law, Princess Alice, Duchess of Gloucester (1901-2004), who received them as wedding presents from King George V and Queen Mary. With the addition of Marie Louise’s Indian Tiara, Birgitte of Gloucester has four substantial diadems to choose from. | 31 The appointment of Prince Henry, Duke of Gloucester as Governor General was itself borne of another royal air tragedy. The position had been earmarked for his younger brother, HRH. Prince George, Duke of Kent (1902-42). Prince George, an Air Commodore, was killed on duty, 25 August, 1942, when his RAF Mark 3 Short Sunderland flying boat crashed into the remote Eagle’s Rock near Dunbeath, Scotland, en route to Iceland. This marked the first time in 450 years that a member of the Royal family had been killed on active service. There was only one survivor of the crew of sixteen, Sergeant Andrew Jack, the Air Gunner. Since then, allegations of a cover-up regarding the crash, and who was piloting the plane, have been aired. | 32 Stefano Papi, “Icons of Style”, in Margaret Young-Sánchez, (Ed. ), op cit, p.257. | 33 Rainier had originally presented Grace with a modest band set with diamonds and rubies, white and red, the colour of the Monégasque flag. J. Randy Taraborrelli, Once Upon A Time: The Story of Princess Grace, Prince Rainier and Their Family, Pan Macmillan, London, 2003, p.104. | 34 neither Princess Charlotte, nor Rainier’s older sister HSH. Princess Antoinette, Baroness de Massy (1920-2011), approved of his marriage to Grace Kelly, and made her life as Rainier’s consort very difficult. Ibid, p.166-67, 232-33. 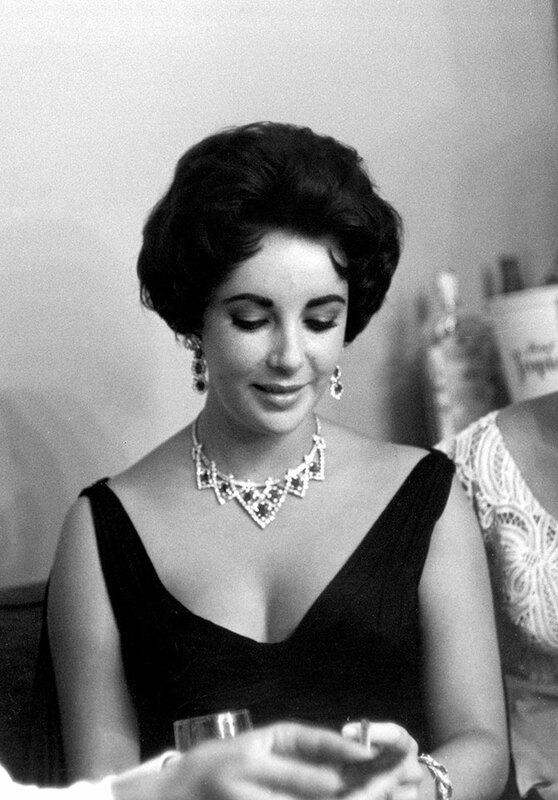 | 35 Dame Elizabeth Taylor, My Love Affair With Jewelry, Thames & Hudson, London, 2002, p.29. | 36 The Duke of Windsor’s only public post was as Governor of the Bahamas from 18 August, 1940 to 16 March, 1945, the only royal to hold the vice-regal position. 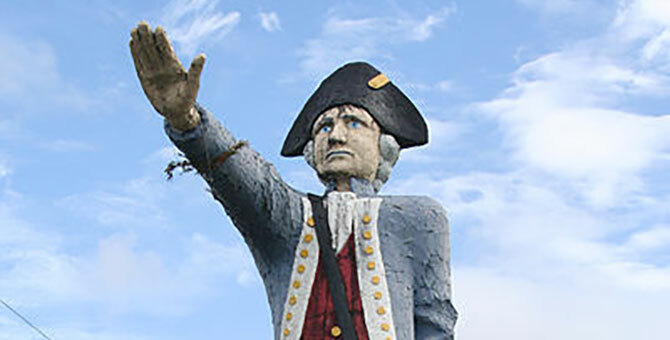 Simpson loathed Nassau referring to it as “our St. Helena”, and made highly derogatory comments about the non-white local population. The appointment served Churchill’s aim to remove the Windsors, who had met with Hitler at his Berchtesgaden retreat in 1937, from being the focus of Nazi intrigue in Europe during World War II. | 37 François Chaille, High Jewelry and Precious Objects By Cartier: The Odyssey Of A Style (Haute Joaillerie et Objects Précieux par Cartier: L’odyssée d’un Style), (trans. Lisa Davidson), Flammarion, Paris, 2013, p.10, 13.